Why do I need to backup my Google account? Google provides reliable online apps, but it is up to you to protect yourself against service outages and data loss. Regardless of the state of Google's services, your Google account, or your internet connection, your CloudPull backups are always available to you on your Mac. How does CloudPull guard the security of my data and my Google account? CloudPull retrieves your data directly from Google via HTTPS, using read-only API calls. CloudPull stores your authentication token securely in the Mac OS X Keychain. CloudPull 2.5 and later does not store your password at at all; previous versions stored it securely in the keychain. The developer of CloudPull spent years working in the software security industry; he takes online security and privacy very seriously. Do I need multiple licenses if I run CloudPull on multiple computers? A CloudPull license authorizes a single user to back up his or her accounts on as many Macs as desired. If more than one person is using CloudPull, please purchase one license per user. Bulk purchase discounts are available; please send an email to contact@goldenhillsoftware.com for details. Does CloudPull work under El Capitan? Does CloudPull back up Google Photos? That you have not added any Backup Exclusion Rules that would exclude your photos. How can I be notified of major upgrades or other product announcements? What happens with Google Reader backups now that Google Reader has shut down? The most recent CloudPull update no longer backs up Google Reader. However, CloudPull continues to provide full access to your existing Google Reader backups. 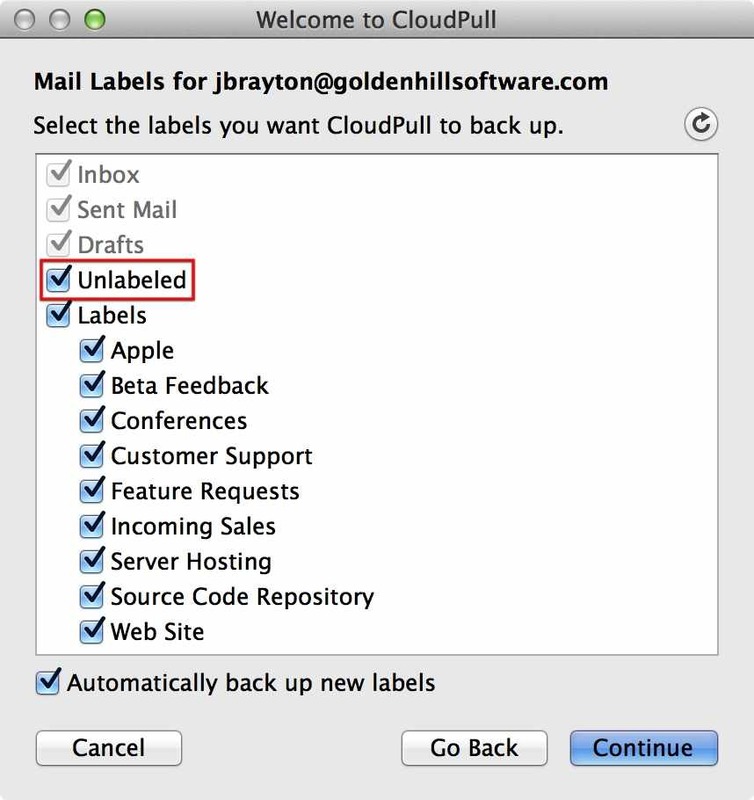 Can CloudPull back up archived Gmail messages? Yes. If a message is archived and has no labels assigned to it, that message will be backed up if backup of unlabeled messages is enabled. An account-specific setting determines whether unlabeled messages are backed up. Backups of messages that are archived and unlabeled can be seen by selecting “Unlabeled” in the left navigation pane of the main window. 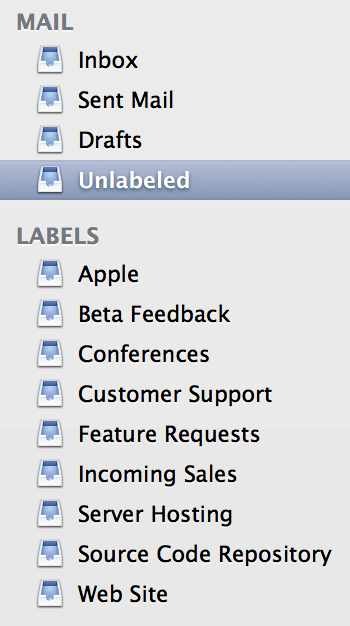 If an archived message has at least one label assigned to it, it is backed up if at least one of those labels is selected for backup. If I delete an item from my Google account, does it get deleted from my CloudPull backups? 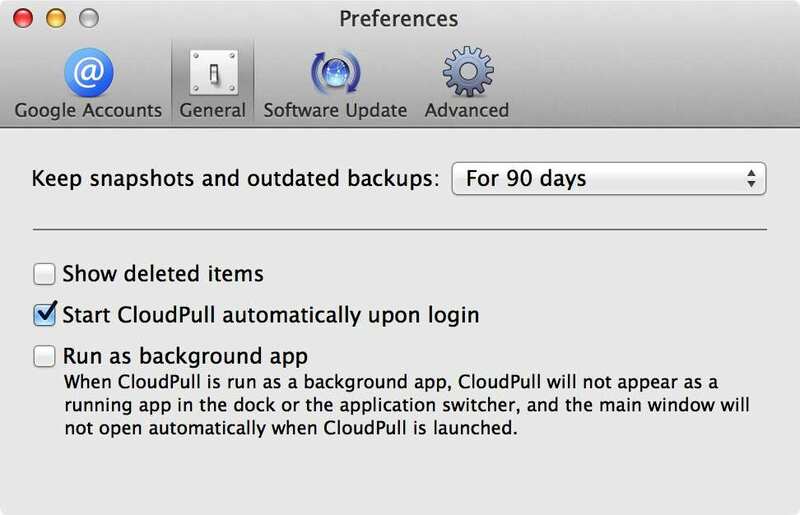 By default, CloudPull will keep an item for 90 days after it is deleted from your Google account. CloudPull also keeps old versions of items for the same length of time after they are obsoleted by newer versions. If you have purchased the premium features of the app, you can change that length of time using the “Keep snapshots and outdated backups” popup menu under the General pane of the Preferences window. If you want never to delete old backup files, you can select “Indefinitely” from that popup menu. You can also check the “Show deleted items” checkbox. Clicking that checkbox adds navigation items for deleted items to the left pane of the main window. 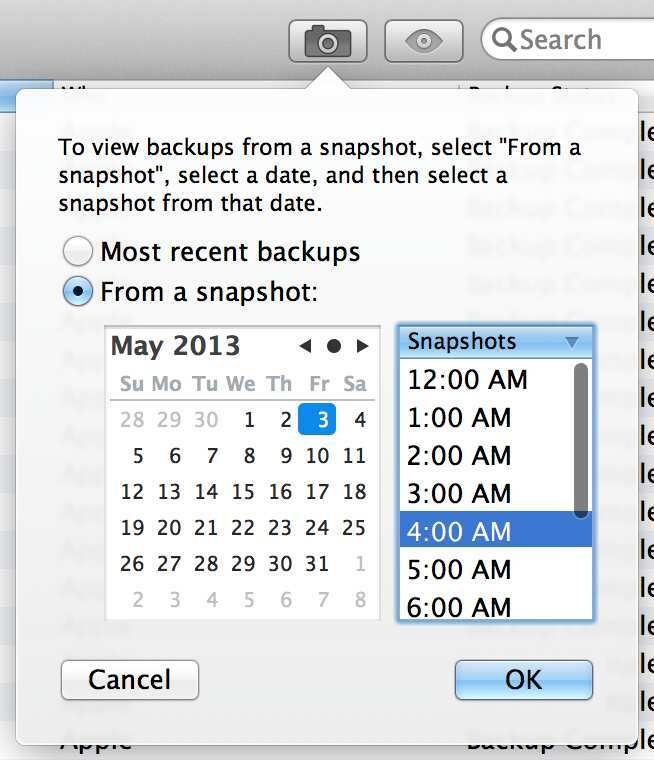 To view your backups as of a certain point of time in the past, click on the camera icon in the main window and select the date and time of an old snapshot. Is CloudPull available in the Mac App Store? Sorry, CloudPull is no longer available in the Mac App Store. Customers who purchased the app through the Mac App Store can download CloudPull 2.8.2. This version will honor your purchase and import your data from the Mac App Store Edition. Please contact us at support@goldenhillsoftware.com if you need any assistance. If you have a question that is not answered here, please email us at contact@goldenhillsoftware.com.